Banks in the UAE continued to perform with higher levels of profitability in the first quarter of 2018, and liquidity is expected to remain healthy for the remainder of the year, data shows. Compared to the previous quarter, deposits grew at a similar rate (1.41 per cent) in the first quarter as loans and advances rose (1.53 per cent), resulting in a stable loan-to-deposit ratio (LDR), the UAE Banking Pulse report by Alvarez & Marsal said. Nine of the top 10 banks were in the LDR "green zone" of between 80 per cent and 100 per cent in the quarter. "However, on a standalone basis, deposits growth declined. Meanwhile, six of the top banks grew their deposits market share and five grew their loans and advances market share," said the report lead-authored by Dr Saeeda Jaffar. "In terms of liquidity, this quarter saw similar growth in both deposits and loans and advances. This resulted in a stable loan to deposit ratio, with nine out of the 10 banks in the 'sweet spot' with what is typically considered to be a healthy amount of liquidity. On a standalone basis though, we saw a decline in the growth rate of deposits," Dr Jaffar added. "Looking at profitability for the period, we believe that the drivers for the increase in return-on-equity are threefold. Firstly, we have seen lower operating costs, which are decreasing at a higher rate than the previous quarter. Next, a decrease in cost of risk has been driven by significant decrease in provisioning, as banks were thinking ahead and made higher provisions during the previous quarter. Finally, we saw an increase in leverage of the banks' balance sheets, aimed at getting the assets to sweat more," said Dr Jaffar. Operating income growth declined (from 3.46 per cent in the fourth quarter of 2017 to -1.37 per cent in the first quarter of 2018) along with non-interest income (from 31 per cent to 29.9 per cent). Net interest margin (NIM) declined, despite a rise in yield on credit, driven by an increased cost of funds. Five of the top 10 banks witnessed a decrease in NIM. Cost-to-income ratio improved (falling from 34.2 per cent to 32.3 per cent), driven by a decrease in operating expenses of 45 basis points. This reversed last quarter's increase and continued the trend from previous quarters Cost of risk fell significantly (from 1.04 per cent in the fourth quarter to 0.81 per cent in the first quarter), due to decreased loan loss provisions. Return on equity (RoE) and return on assets both increased due to a decrease in cost of risk and operating expenses. This came at the expense of a decrease in capital adequacy ratio. Nine out of 10 banks showed an increase in RoE. 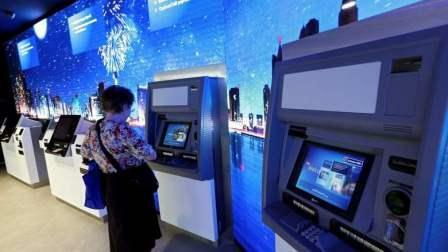 The country's 10 largest listed banks analysed in the report include First Abu Dhabi Bank, Emirates NBD, Abu Dhabi Commercial Bank, Dubai Islamic Bank, Mashreq Bank, Abu Dhabi Islamic Bank, Union National Bank, Commercial Bank of Dubai, National Bank of Ras Al Khaimah and National Bank of Fujairah.